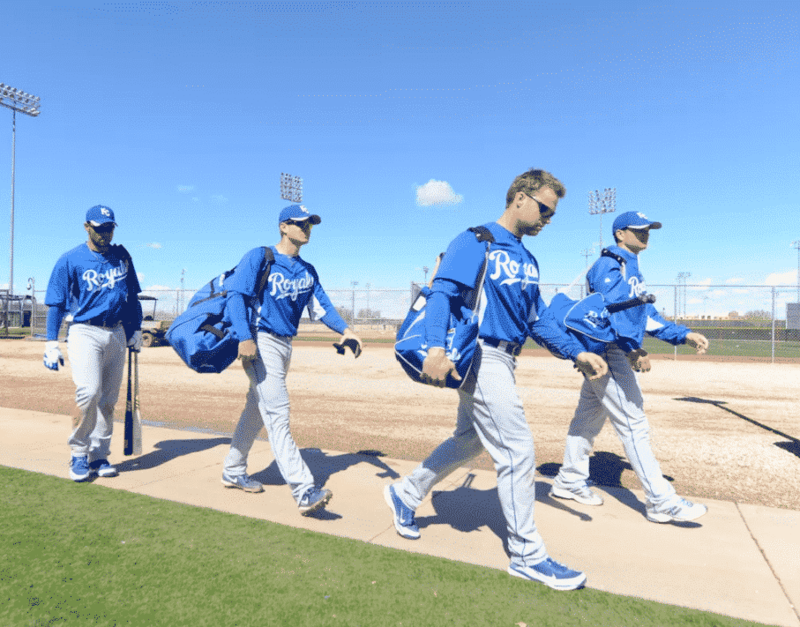 Spring Training is finally here! Today, pitchers and catchers reported to Surprise, Arizona which makes it finally baseball season. This also means that it is time to make predictions about who will crack the opening day roster. With that being said, this is who I believe will make the roster come March 28th. 23 out of the 25 opening day spots feel secure. The only guys I am not very confident in are Terrence Gore and Jake Newberry. Newberry has shown promise over the years and did get called up in August of last year but it is pretty likely the Royals like Newberry in the farm system first before putting him in the deep end. As for Gore, I am 99% sure he is on the roster but the fact that he cannot get on base consistently worries me. The big position battle will be in the outfield. Brett Phillips was awful at the plate in 2018 and Jorge Bonifacio is awful in the field. Brian Goodwin is exceptional in both and he’s simply the best option the Royals have, unless Brett Phillips has an outstanding spring. That’s not to say Goodwin is the best long-term option, he’s just the best option to win the game on Opening Day. I could see Bonifacio making the Opening Day roster as a bench player, but I think he’s a 4th OF at this stage in his career. The battle for the fifth starter should be fun to watch in Spring Training. I think Jorge Lopez is currently the favorite to crack the rotation but it could be possible that Kansas City opts for four starters to start the season and decide on the fifth starter two weeks into the season. If Lopez can command the ball better than he has, then I think he wins the fifth pitcher spot without a doubt. Ramon Torres just missed the cut for me. However, Chris Owings getting $3.5 million changes things. I guess it’s possible that Torres gets some time in the big leagues now and then due to injuries to key players and roster changes but as for right now, the Royals will opt for the $3.5 million dollar man. As for the bullpen, all eight of those pitchers mentioned will have to be exceptional to get a roster spot but some have better chances than others. For example, Brian Flynn is such a valuable asset to this organization which makes it hard to see a guy like Richard Lovelady make it. I like the look of Heath Fillmyer but the Royals would probably prefer keeping him and Trevor Oaks in Omaha. I’m not thrilled with the looks of Josh Staumont and Jake Newberry but you never know what might happen with this team. How Do Golf Shoes Affect How The Professionals Play?